Home / Category 3 / The Manta has found a permanent place in the Get The Gloss team hair regime, read on to hear why.. The Manta has found a permanent place in the Get The Gloss team hair regime, read on to hear why.. Hair brushing and hair breakage – unfortunately, they can walk hand-in-hand for many and as well as your technique, your tool of choice may also be responsible too. It’s a problem that those with fine, thinning or brittle hair know only too well. 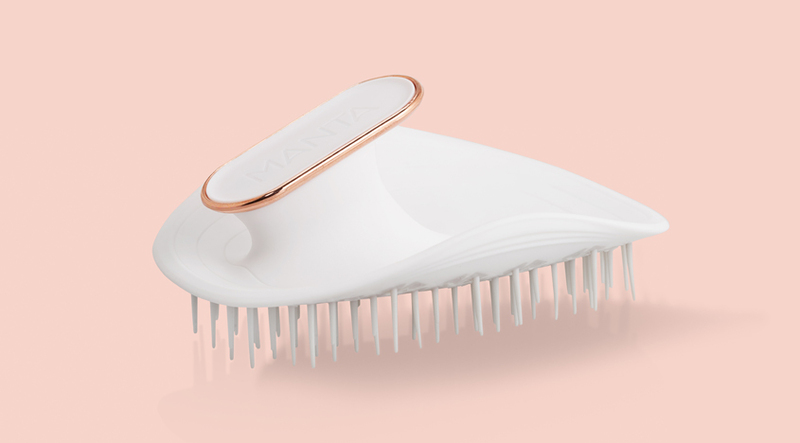 With traditional brushes, every stroke can come with the risk of snags, tugging and tears – there’s a growing demand for a wider range of gentler yet effective alternatives and the Manta hairbrush looks set to meet it. Invented by Tim Binnington, a professional hairdresser with over 25 years’ experience, the Manta was originally created for his wife who lost her hair after a life-threatening illness. As her hair grew back, he noticed how she combed it with her fingers as she was so scared of the breakage that a conventional hairbrush might cause. With her needs in mind, Tim sought to develop a hairbrush that would be just as gentle on hair as using your fingers and would keep the damage of daily brushing to a minimum. The Manta does this in two key ways: firstly, its distinct, ergonomic design allows it to mould to the shape of your hand and scalp to therefore create less tension on each strand with every stroke. Secondly, its patented Flexguard engineering enables each bristle to have complete 360 degree motion to gently loosen knots and keep the process snag-free. Clever stuff. The Manta’s likely to appeal to a wide range of people with different hair types for whom thinning or brittleness are key concerns. Although I generally have thick hair, I’ve noticed that my hairline has started to become sparser as I’ve gotten older. In addition to this, a combination of colour and heat has made my ends a little weaker than they once were. As a result, I approach brushing with a greater degree of trepidation, and any way to reduce my current strand-count on my hairbrush would be most welcome. 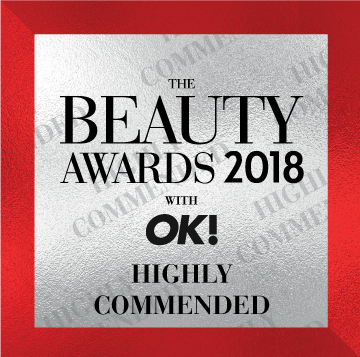 Smoothly gliding through hair from root to tip, the Manta made light work of my knots and tangles while its soft touch bristles also gently massaged my scalp – not in a scratchy way though – in a really blissfully relaxing way. I closed my eyes at one point. It was that dreamy. I was really impressed. There was zero catching and while it was definitely less rough than other brushes I’ve tried in the past, it didn’t compromise on results. My hair was left smoother, softer and shinier. I also found it more practical to use too. While broad bristle or paddle brushes are my usual go-tos, they aren’t the most portable. However, the Manta made for a much more travel-friendly option. Its handy protective box was also ideal for keeping it knock-free. It’s not just proven a hit with me, but also with the others in the GTG office. Our hair types range from fine to thick, short to long, yet it’s found favour with each of us – a real testament to its far-reaching appeal. Ideal for tension-free detangling, it’s found a permanent place in my handbag.